Amazon.com, Inc. often referred to as simply Amazon, is an American electronic commerce and cloud computing company with headquarters in Seattle, Washington. It is the largest Internet-based retailer in the United States. 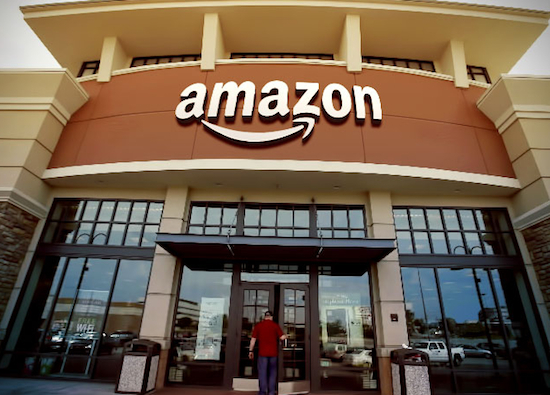 Amazon.com started as an online bookstore, later diversifying to sell DVDs, Blu-rays, CDs, video downloads/streaming, MP3 downloads/streaming, audiobook downloads/streaming, software, video games, electronics, apparel, furniture, food, toys and jewelry. The company also produces consumer electronics—notably, Amazon Kindle e-book readers, Fire tablets, and Fire TV —and is the world's largest provider of cloud infrastructure services (IaaS). Amazon also sells certain low-end products like USB cables under its in-house brand Amazon Basics.